As time rolls on, new technology grows up and overrides older technology. From Alexander Graham Bell’s first practical telephone to the latest smartphones, from the early cathode-ray tube televisions to LED flat screen televisions, from the wooden wheels of ox-carts to the tubeless tires of a luxury car, everywhere you look the evolution to new technology is inevitable. This is how WebRTC, the next generation of web based communication has taken its place in the world of real-time communication. 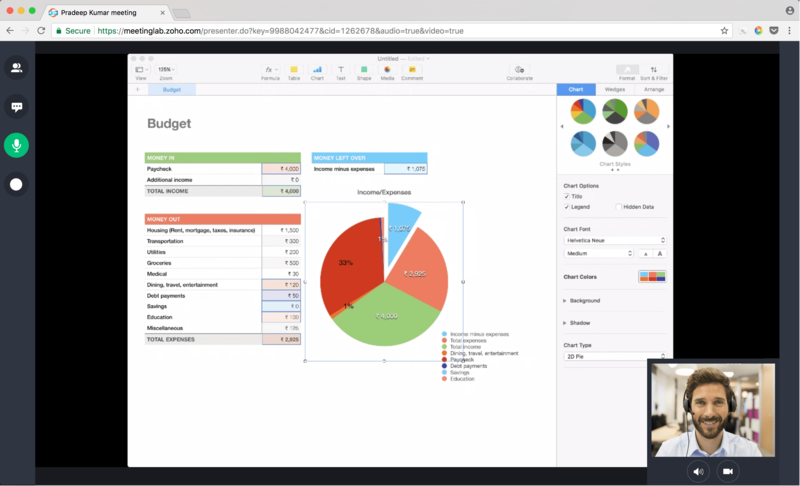 We have rebuilt Zoho Meeting from the ground up to adapt to the latest real-time communication technology. This makes it possible to offer better real-time communication in our online meeting tool, such as internet calling with computer audio, video collaboration, and sharing your screen/application right from your browser. We have also enhanced the application’s speed and reliability, improved usability with a refreshing new UI, added new features such as meeting recording, RSVP scheduling, and much more. If you’re using a modern browser that supports WebRTC, you don’t have to download an app to host meetings. Now both the presenter and the participants can join an online meeting right from their browser. Talk to your participants with VoIP, turn on your webcam for video collaboration, share your screen or application to give a presentation, and chat with your participants to make things more interactive. Don’t worry if you are using an older browser — all you need is a one-time plugin to host your online meeting. Now you don’t have to use Windows or Mac to take advantage of screen sharing. 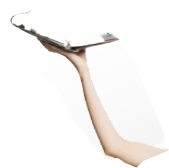 With our transition to WebRTC, any operating system lets you share your screen. You can share either your entire screen or any specific application with your participants. We have recently introduced our iOS app to let you share your screen from your iPhone or iPad as well. If you want to let another participant take over the presentation, no problem — they can start sharing their screen with one click and no download hassles. Turn on your webcam to make face-to-face video calls or bring life to your meeting. You’ll also find intuitive controls to turn the video on or off, and mute your microphone. If it’s a bad day for video conferencing, just turn off your webcam and talk to your participants using VoIP. There are many more things happening at Zoho Meeting. Here’s a complete list of what we have updated recently. Try out a few meetings and share your comments below — we are all ears. New to Meeting? Zoho Meeting is a robust web conferencing solution, built to host online meetings without any installation hassles. Talk face-to-face using video or over the phone using international dial-in numbers. Share your screen or application. Record your meetings. 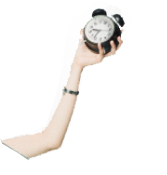 Embed meetings in your website. 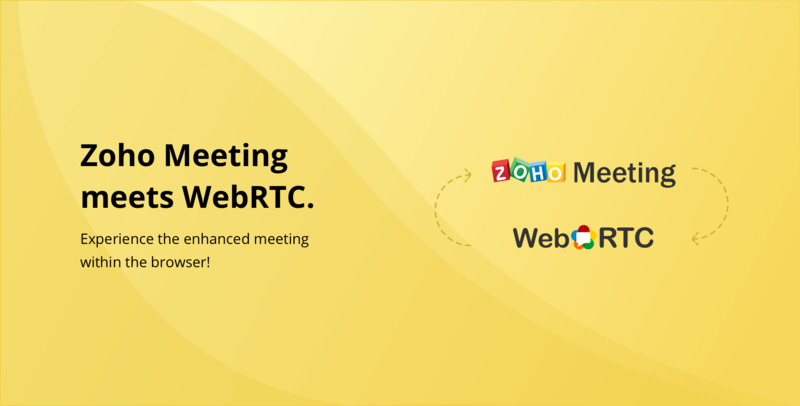 No Replies on Zoho Meeting meets WebRTC: Enhanced and better online meeting experience! Commenting is Disabled on Zoho Meeting meets WebRTC: Enhanced and better online meeting experience!